London Women's Cycle Racing: What's Hog Hill like? 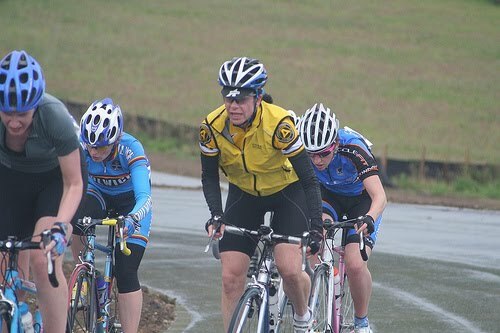 Here’s what Claire Beaumont (Rapha Condor/London Dynamo) has to say about the Hog Hill Circuit. The purpose built Redbridge Cycle Centre replaced the legendary Eastway cycle circuit in 2008. In the two years since it opened, Hog Hill (as it is more familiarly known) has certainly captured the hearts of London based riders with its modern clubhouse and ample shower/changing rooms, plus inspiring views across London. It’s proven to be a great place to race on. Out on the smooth tarmac the 2km course is split into a lower and upper section. The lower circuit is out of sight of the clubhouse and has sweeping bends that allow you to carry your speed through. This is great for those not so technically minded, but it can also break up the race out on the flat as people sprint out of the bends. The lower circuit connects to the upper section by a short sharp hill from which Hog Hill gets its name. Many have nicknamed this the Hoggenberg, after its resemblance to the climbs featured in the Spring classic races in Belgium. As the climb reaches up to the finishing straight this provides for a more exciting finish to a hotly contested race. The upper circuit stays within sight of the clubhouse and features a short descent and left hand bend which is slightly tighter than others found on the lower section of the course. I like Hog Hill as it’s a great way to test fitness. Flatter courses can sometimes be unexciting and the course really does provide some entertainment. It’s a fantastic way to improve your bike-handling and climbing ability as well as to find your strengths! 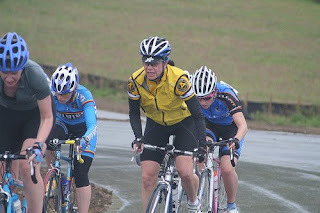 For even more of a feel for what Hog Hill's like, check out this video of a lap of the circuit on LondonCycleSport. Crystal Palace: there's always a first time! May races -- enter now!